Growing your business and optimizing your profitability does not need to be a difficult process, but it’s vital you experiment with different approaches until you find one that works the best. If you want to determine which tactics are giving you the best possible results, then you need to take an honest and objective look at yourself and your company by measuring business results. Some people get so caught up in the desire to be right that they drive their companies into the ground. Taking a step back and being honest about what’s working and what’s not can be difficult, but doing so will help you increase your income, improve your productivity and take your business to the next level. 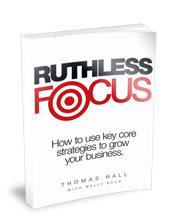 In my book Ruthless Focus, there’s much discussion about finding ways to do things better. Unless you’re measuring business results, you won’t know what needs improvement and if you’re doing better than a previous benchmark. Taking a look at your revenue is step one. You want to track the revenue that you generate on a weekly, monthly and yearly basis so that you can determine the level of success that you are achieving and compare them to previous periods. If your numbers keep going up, then you are heading in the right direction. On the other hand, if your average revenue is starting to decline, then you might want to make some changes before it’s too late. Many new business owners make the mistake of believing that most of their profit will come from the first purchase that a customer makes. In many cases, companies will lose money on the first sale, but the important part is that those businesses also have a great customer retention rate. If you can increase the long-term value of each buyer, then your profitability will skyrocket. You can make this concept work for you by analyzing your customer retention rate. If people are not coming back to you, then start asking them why. When your mission is to encourage people to buy from you repeatedly, try offering reward programs and special offers. People often pay so much attention to their customers that they forget that their employees are equally valuable to the success of the business. Each employee that quits must be replaced, and recruiting and hiring new people is time-consuming and expensive. When you monitor your employee retention rate, you can start offering incentives to determine what catches the attention of your team. One of the hardest things for business leaders to do is accept that their lack of leadership skills might be causing people to walk away. Objectively observing a problem is present is the only way to address it and to move forward. Remember, the numbers don’t lie, so start analyzing your employee retention rate to see where you stand. Business owners often say they know the importance of measuring business results, yet most of them never do. 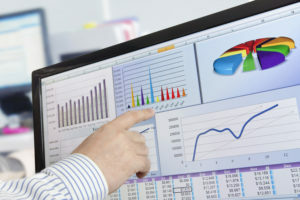 If you are serious about growing your business, then monitoring your metrics is one of the most powerful tools at your disposal. As long as you remain persistent, you will start to notice patterns, and you will see things that you missed before. This new perspective will empower you to focus your attention on the things that work and that are bringing in the most revenue. Even changes that seem small can do more for your business than you once thought possible, and you will be impressed by the outcome.